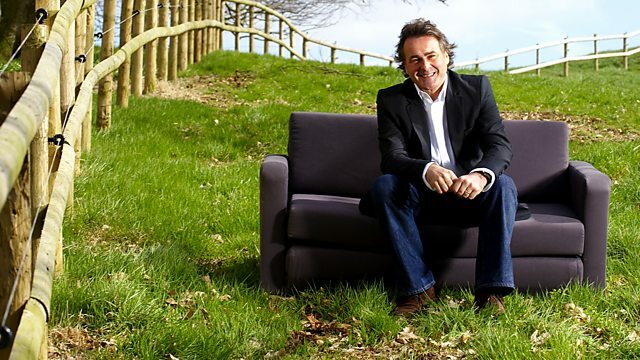 Suffolk 15 ‹ Series 12 Reversions ‹ Flog It! Antiques series. Paul Martin presents from Ickworth House, a mansion near Bury St Edmunds in Suffolk, where he is joined by experts Adam Partridge and Philip Serrell. Browse content similar to Suffolk 15. Check below for episodes and series from the same categories and more! and it's certainly one of England's finest mansion houses. But why don't you be the judge of that? This is Ickworth House. Welcome to Flog It! and to showcase an extensive art collection. they were supported by strong, intelligent and often wealthy women. But more about them later on in the show. was collected over the years on the Grand Tour of Europe. But it never actually made it here. armed with their own treasures and fine art. today's throng don't have to worry about Napoleon's troops. I'll have a look at this box. I think you'll find it has a green sticker on it. So, without further ado, let battle commence. On today's show, there are some tricky valuations. -Have you seen me guess before? I've seen the hit and misses. It's not going well now, is it? But whose guesses are widely short of the mark at the auction? Hammer's gone down, job done! laden with antiques and collectables. and see what he has spotted. his first item twinkling in the queue. Thank you so much for bringing it in to Flog It! It's just my sort of thing. I was glad you liked it as you walked past, actually. You saw me stop and seize on it, I do that. and you think, "Oh, gosh, I must see that." We've owned it about 30 years, I suppose. We used to use it as a muffin dish occasionally. -You can get the hot water in. There's a little screw there, isn't there? to keep your muffins warm. Muffins or drop scones or whatever you have. do his first transatlantic cable. -They were a much more elegant family, a rich family. Well, it is a very grand muffin dish, isn't it? It is, it's lovely to use but it is grand. It's not the sort of thing one rolls out and uses on a regular basis, is it? -How often do we have muffins these days? it's written all over it, it doesn't need a mark. so it has a really good pedigree. is a dreadfully depressed market. into the lid is just a lovely touch. It's such a smooth, elegant shape, isn't it? It's just very, very pleasing, isn't it? My estimate would be £400-£600. -We'll put a reserve of 400 if that suits you. And there is a massive appeal for works of this period. -it will always be preserved as an object. Thank you so much for bringing it in, it's the nicest thing I've seen for a while. Adam's not the only one discovering gems amongst the crowd. There's a wealth of unusual treasures walking through the doors today. Giles, these belong to you. and she had had them for quite a long time. a chance to see them. and the detail is absolutely exquisite. They would be used for dividing the linen up. and fold them, literally to lift up and let the air get through. I particularly like this one with the handle. Most people tend to put them on the wall and I guess that's where you've had them. Yes, they hang on the wall as a memento of my godmother. this one is dated 1762. So you're looking at works of art here. of master craftsmen at the top of the genre. -they'd fetch around about £800-£1,200 each. So I've got three grand sitting on my lap of Scandinavian folk art. I wish they were. I was just about to twist your arm. -Please put them on the wall and enjoy them, won't you? What a treat. You never know what you're going to find. before they make it to the Flog It! valuation tables. got a gentleman's pocket watch? It's my father's watch, he owns it at the moment. It used to belong to my mother's stepfather, so my step-grandfather. My grandmother remarried again when she was in her late 70s, 80s. -So she got married at 80, bless her! And she married William, whose watch it was. Me and my sister were bridesmaids at their wedding. -So you went to your gran's wedding as a bridesmaid? -It was, yeah, very good. and then my mum died 20 years ago, so my dad's had it ever since. So you tell me what it is and what it's worth. I haven't a clue what it's worth. It's a pocket watch with a gold-coloured chain. Is it gold? -Right, we'll have a look at it. that isn't a good start. -It's not a good start? -Not a good start, this. Rolled gold. Now, that basically means gold-plated. So that's actually not a good starting point, is it? -What about this? Where's he got that from? It looks like it's got Arabic writing on it. and we think this is a Turkish 100 Kurush coin. And it's gold. -And so today, this is worth its weight in gold. -I don't know, £100 and £200, perhaps £250. But we've got this in the middle, haven't we? -Do you know what this chain's called? Have a look through there. Can you see that? -I can't see what it says. -Do you want these, as well? -Yeah, I might need them! -Shall we get Jodrell Bank in? Hey, come on, concentrate. You're not that old, look. Help us! Right, so what we've got there, look, we've got a chain. And I mean, it's hard to see. but nonetheless, this has still got a value. -the price of precious metals have gone through the roof. -I think you should make between £300-£400. -is go and buy some glasses. -Yeah, maybe I need to, yeah. Well, you don't need glasses to see how busy it is today. from the West Wing to have a quick look inside the Rotunda. such as this one of the fourth Earl, known as the Earl-Bishop. who was a court painter to Queen Marie Antoinette. Her portraits often idealised the model. as they appeared on canvas. And this made her very popular with her sitters. he commissioned a self-portrait of the artist herself. And here it is hanging in the smoking room on the wall. this is the best painting in the house. It's absolutely exquisite. Beautifully executed. and she painted clothing in great detail. the light and the shade, being able to look through this fine weave. this wonderful, rich, red velvet texture. is Adam Partridge, who knows quality when he spots it. -Susan, welcome to Flog It! -Now, can you tell me where you got it from? -My husband's nan and grandad. -So it's passed down through your family in-laws. -And do you use it? -It was in the garage until last weekend. -What is it doing in a garage? It's very nice. -Do you know the wood? -You don't need me, do you? -I do. How old do you think it is? -I think it's early 19th century. 1830s? -Looks like it might be a tea caddy, but it's not, is it? My favourite bit, I think, is behind here. Because that's where you've got the maker's mark. Bailey & Blue. London manufacturers of Cockspur Street. -And I believe they were perfumers to the Queen. -Or to the royal family. -So it's a quality thing. So this is a box that covers every use that you need, really. with a selection of little glass bottles. -Unfortunately, the condition's not great. -No. That's how I inherited it. -And then you've got these little pots here made from ivory. -which would've been where you keep your jewellery. -You don't have a key either, do you? -We need to get it to a loving home, don't we? we've got to talk the vulgar stuff now, about the money side of things. -What do you reckon? Value it for me. I was going to put our old favourite estimate on it of £80-£120. factoring in the condition isn't great. If this was absolutely perfect, it would be worth £300-£500. But as it is, I think £100 is a fair indication. I think a £50 reserve would be sensible. Absolutely! Do you have any plans on the proceeds if it sells? -To go to Parkinson's UK. might be an apt description of Shirley's profession. -Now, are you a Suffolk lass? Are you involved with the agricultural fraternity? I used to be. I am a carriage driving teacher, really, now. -Carriage driving, like the Duke of Edinburgh does? -How long did it take you to learn that? -I started when I was six. -Are you from a farming family? -it's a painting that I could see hanging in a farmhouse. -Do you know who the artist is? it's Meucci, which is M-E-U-C-C-I. And this chap was prolific in the 19th century. simply because of the subject matter. vine leaf frame around it. -I think that's going to help it along. -Is that contemporary with the picture? I would have said it probably was, yeah. What do you know about it? I have owned it since 1996 when my mother died. She had bought it before then. It's been in the family over 50 years. -Did she buy it at auction, or...? picture, because she hid it away to start with. She didn't want anybody to know about it. Was it a mistake, do you think? I think it must have been. subject, and I think all of that affects how you pitch your estimate. I think you need to put your estimate at £150-250, reserve it at 150. -traditional image, but I think that's just where you need to pitch it. but I think we've really got to be cautious with it. -something like that, wouldn't it? -Yeah. I mean, this is a typical larder, this marble slab here. -Perhaps we should tell them about it. -I shall leave that to you. Let's keep our fingers crossed and hope that the birds fly. They don't look as if they're going far, do they? Southwold is a quintessentially English resort. So you can't really miss it. It's 31 metres in height and it really does stand out. on higher ground on what was the edge of the town back in 1890. A cantilevered spiral staircase which takes you right to the top. Well, this could take some time. direction. That's where I'm off to right now. got a lot of history attached to it, so let's go and find it. Southwold by this narrow stretch of water. Landmarks can tell you so much about local history. Dani Church shows they can also come in all shapes and sizes. the river, keeping communities connected. has been associated with for five generations. -Has she always been onboard? -Pretty much. Yeah, she comes to work. The customers love her, especially the children. Dani, how long have you and your family been involved in the ferry crossing? Well, the first member of my family was involved in the late-1800s. He was my great-great-uncle, Benjamin. Basically, a member of our family have been doing it ever since then. But I gather the ferry has been running a lot longer than that. so that's nearly 800 years ago. but goodness knows how they rowed a horse across. I don't know. replaced by a new and improved steam ferry in the 1920s called the Blyth. How long did the chain ferry last? the army used to cross but they didn't pay. So the service sort of went into disrepair cos there was no money. So they moored it up. were cut off from each other, but Dani's family came to the rescue. they resurrected the old rowing boat service, which still operates today. So who took over from Bob and Ernie? Well, that was Young Bob, Old Bob's son. He did the ferry in the 1970s and 1980s. the ferry turned from a necessity to a novelty. He even made the front page of the New York Times at one point. -I know. He became quite a celebrity. -When did your father get involved? who was Old Bob, on the ferry. He taught him the tricks of the trade. kippers and herrings, cos they had a smokehouse down on the harbour. -As things do around here. When did your father start to teach you to row? I can't really remember. It must have been from the age of six or seven. sit on the rings and watch him talk to the customers, stroke the dogs. Gradually, he'd let me take one oar. Then I'd sit on his lap and do them together. He'd teach me the tides. -So it literally is handed down from father to daughter. You obviously clearly get job satisfaction. I can see you're really passionate about it. I think it's working outdoors, for me, it's wonderful, and the exercise. Also meeting the people. There's so many people who come over. From year to year, you gain new friends. The customers, you see them every year and you get to know what's going on in their life. It's the continuity as well that I really enjoy. and not one to keep her passengers waiting. including Rita and her grandson. So, Rita, how long have you been using the ferry? I've been using the ferry for 61 years now. Gosh, you don't look old enough. You must have been born in the boat! I was born... No, I was born in Walberswick. No, I was born in the village, and my mother still lives here. -Well, I built the ferry. You're a shipwright, are you? -What a lovely trade. Gosh! What do you think of Dani continuing the family tradition? Well, Southwold without the ferry wouldn't be Southwold, would it? It just wouldn't. No, it's got to have a ferry. The first one I built was 61 years ago. But I've never rowed the boat. You know, it's never too late, is it? It's certainly not too late for Dani's son Charlie or nephew Oscar. -Are you going to take over the business one day? -I want to work in something different. Nelly, are you going to jump over? Long may the tradition of Southwold to Walberswick ferry continue. to put before the bidders. because it is a magnificent room. but there's something very unusual about it. And I wonder if you can guess what it is? There are only two walls in this room. and it's almost dissected in half with this straight wall. Can you see that? Making a semicircle. for the annual servants' ball. I wonder if we're going to have a ball now as we go off to auction. to this silver-plated muffin dish. We have Julie's gold watch and chain with the unusual Turkish medallion. that determines its sale price? which is at the heart of the town. Just around the corner are the auction rooms. And the sale room is absolutely rammed. whether you're buying or selling in an auction room. Here, at TW Gaze, it's 12.5% plus VAT. so check the details in the catalogue. It's printed there. Or, otherwise, ask a member of staff. 270, 280. 290 in the room? Flog It! expert Elizabeth there on auctioneering duty today. And first up is Susan's rosewood box. unless you're in the trade and you do them up and move them on. Lots of people like treen, don't they, Paula? which is kind of like, you know, what do you do with it? -So we're going to find out what it's worth. Ready? -This is what we've been waiting for. -It's a lovely lot, this one. -Coming in at mid estimate there. No. Yes, 50 bid. 50, I have. 55 is gallery. Where's 90? Surely worth more. -She's trying hard with this one. -Still good value, I think, at 95. Any advance? -95. The hammer's gone down. -Oh, well done. Thank you. casting an appreciative eye over our next lot. -I do like that very much. It sits very well on the wall there. -by the looks of it, too. It looks like it's been cleaned recently, though. -which is nice to see. -You know we had a valuation of £150 on this. Yes, yes. Something's happened since then. and raised it with a reserve to £300. you would still pay £300 for it, wouldn't you? Well, I would. I have just been musing whether that seems fair. -Yes. With a name like that, you have to paint a painting. But for that sort of money, he's not unknown. £300-£400 is the new revised estimate. I'm not sweating at this point. No, I bet you're not. You're quietly confident, aren't you? So, without further ado, let's see if Elizabeth's right. On the day, I looked his prices up. He... I put in his rock-bottom figures, around 150, 250.
you have online bidding, it will make what it's worth. I'm pretty sure it's going to find a new home. Michelangelo Meucci there, the 1877 painting of dead game. Interest is shown. I start at just £200. At 290, now, the room bid at 290. 300, I'll take. Someone's in the room now. That chap there. 380 is the telephone. 400. 400. I've lost the telephone. £400 now. Well, £400, it's gone. What we keep saying is quality always sells. Will the collectors spot this rather special handmade muffin dish? -Wonderful bit of silver, Anthea. -It is lovely, isn't it? If I owned this, I wouldn't be selling it. And I bet our expert, Adam, who valued this, wouldn't be selling it. It was a real delight to find it. I think it's one of the nicest things in the whole sale. And of course, this is an important piece of 20th-century design. -It is beautiful. It's so smooth. Well, we haven't got that elegant lifestyle. -You couldn't put it out because you'd have to polish it. I'm tingling. This could be brilliant! -We're putting it under the hammer right now. Start me at 500. Classic design. Come on, £300. A good piece here at 300. Where are you? No bidding. Anybody in at 300? No? No? We'll pass on that one, then. -I'm pleased it didn't reach the reserve. If it was going to sell on the reserve, it would be cheap. I didn't want it to sell on the reserve. Two were sold a couple of months ago for £600 a piece. There you go, that's its value. £600. There's another day in another auction room. -I wish it had made £600. Thank you so much for bringing in real quality. -Yes, it was lovely just to see it. Well, the Arts and Crafts collectors were just not out in force today. Let's see if our next lot fares any better. of what you're going to get today. -and it'll make a full price and hopefully, you'll be pleased. -I think we all will be. Let's put it to the test. Let's find out what the bidders think. It's a lovely lot. I start at £150. 150 bid. At 160, 170, 180, 190, 200, I'm out. It's gone on the reserve. Here we go. The back wall at 380 now. Looking for 400. The back wall at £380 now. Spot on, Philip. Does that money go to Dad? It's Dad's watch. Yep. Dad's having it all. Yeah. So it'll go towards whatever he wants to put it towards. Well, I'm sure he's going to treat you. No, no. He doesn't need to treat us. -Well, I hope Julie's dad enjoys spending all that money! -It's £200 on commission, I'm looking for ten. Now, they say history is written by the victors. and daughters have sometimes - more often than not - been overlooked. on its women, as I found out. Take a look at this. Walking around a stately home, we are often greeted by nobility. the male line, that's the history we are presented with. an interesting story to tell but for the women who married Ickworth men. they saved Ickworth House so we could all enjoy it. in the 15th century - through marriage. the founder of the family fortunes, back in the 18th century. Well, he married two extremely wealthy heiresses. who, incredibly, bore him 17 children. was duly promoted to the Earldom of Bristol. And how did the first Earl of Bristol spend his wife's fortune? became the Ickworth we see today. And purchased some beautiful objects to fill it. amount of silver from some of the leading silversmiths of the day. I mean, the attention to detail is absolutely superb. It's a lasting legacy for us all to enjoy. contract a love match with the beautiful and witty Molly Lepel. Sue Ellis, has studied her intriguing life in the 18th century. Molly was one of Queen Caroline's maids of honour. She was a great wit and beauty at the court of George II. Lord Chesterfield said that they were a perfect beau and belle. Unfortunately, Lord Hervey was famously unfaithful. men, women and the Herveys. and also with Horace Walpole. and many of her letters were published after her death. but I love the little miniature portrait of her. she was around about 35 years old there. so you could give it to your loved one so he could carry it everywhere. I particularly love this enamel pillbox, I really do. inset with little green emeralds. Molly's spirited legacy lived on in later generations of Ickworth women. inherited Ickworth, the estate was nearly insolvent. and the determination to do something about it. and she devoted a large part of it to the restoration of Ickworth. see today wouldn't have survived in such a reasonable state of repair. she was appalled by the lack of modern conveniences. electricity was installed so there was electricity in all the rooms. One person who remembers Lady Bristol is Lily Thrower. one of the housemaids at Ickworth in 1937.
and you work your way up to the first one? you might get a little bit higher. in the servants' room before we had our breakfast. And other jobs came along during the day. -Where you able to finish at five o'clock or six o'clock? not five o'clock. More like nine o'clock, yes. We had jobs to do in the evening, you see. They got a lot of work out of us! Was that six days a week, did you get one day a week off? We had one afternoon a week and one Sunday a fortnight. -work in the Victorian period. -So what did you make of Lady Bristol? -She was a very nice lady. morning with the Bible and read out the Bible, you know. and she didn't speak to us, either. -and look after you a bit. -No, no. She was a marchioness, you see. There was definitely a hierarchy above stairs AND below. -Otherwise, don't speak unless you're spoken to. strict conventions of the day. to the National Trust so future generations can enjoy it. And that's thanks in large part to the women of Ickworth. Back in the West Wing, it's the fine people of Suffolk and the Flog It! team that are enjoying Ickworth's hospitality today. Over with Phil, there's a table full of happy memories. -So, this has been in the roof. -It's been in the loft, yes. 45 years. 45 years? Looking at it, you've got a better loft than I have! -Mine and my older brother's. -and he just came home with it one day. -He was a great dad, then! If you think of boys' train sets, you think of Hornby and Tri-ang. They are the two major makers. -but this isn't just it, is it? -No, there's other items as well. There's quite a lot of other items. -Have you got a list of what there is? Can I just have a quick flick through? and it tells us all whether it's boxed or not. That's just what you need. You've got so much of this, did you ever have a favourite? Funnily enough, it's actually the motorcoach. -to watch it go round with the V lit up. So what's it worth now? estimate of 150 to 250 and perhaps a fixed reserve at about £120. -Can we squeeze the reserve up to maybe 140? And fingers crossed that there is a train waiting to take us away. And come to rest at Adam's station is some first-class silverware. -What a beautiful tea service. -It's really very nice indeed. Do you use it? -No, I don't do it justice. -I used to use this. -Nice little milk or cream jug, isn't it? -It's the most usable thing, really. it's very unusual these days to find the stand still with the teapot. It's got a bit of a wobble to it. I'd have a bit of a wobble, as well. How did you come to own it in the first place? Well, I think it's a wedding present to my grandfather. -When do you think he got married? -And he's been dead a long time. -It would have been a very nice present to have got. all intact and in pretty good order. Yes, that's what I said to my daughter, I thought it was Bateman. it's a very collectable manufacturer. really rather attractive to the collector. -I would suggest an estimate of £600-£800. Does that sound acceptable to you? Yes, as long as there's a nice reserve on it. -I was going to suggest a reserve of £600. and we'll watch it find a new home where I'm sure it will be cherished. -Lovely, thank you very much indeed. out of place inside the elegant surroundings of the Rotunda. showing you this particular portrait of a member of the Hervey family. This is Lady Elizabeth, a favourite daughter of the fourth Earl. and later became involved in a famous love triangle with the Duke. in fact one of the most famous female artists in our history. She became a founding member of the Royal Academy. So, what became of Elizabeth? she married the Duke in 1809.
wearing in the locket around her neck there is that of Georgiana. back at the valuation tables? Well, actually, our final item is a fascinating piece of social history. It's been brought in by a lady I'll let Phil introduce. Judy, Judy, Judy. That's a great line - who said that, then? -..this album by Margaret Ives - who is she, then? -She just did it all. -And this is dated from March 1946 to June 1947. I can't quite see why radio artists would want a costume, but still! -I tell you what, though - looking at that, I wish I'd got a waist like that! -Don't we all, I'd love it! Keep the cameras up, guys! No panning down! That is just beautiful, isn't it? Ivy Benson, now, I've heard of her. She was a singer, wasn't she? No, she was a band leader. All-women's band leader. Very famous. Toured all over the world during the war, entertaining the troops. That's why they wore glamorous dresses, to entertain the troops. Look at this, I don't quite understand this one. Jack Hylton - was this something for the weekend, was it? No! That was one of his singers. -It's Ivy Benson and Jack Hylton. Oh, right. So there's a whole load. So these would all have been in Jack Hylton's band, wouldn't they? -That's a vocalist and that's Ivy Benson on the end. Yes. But there's some lovely ones of Ivy Benson's further back. I think they're lovely, I really do. Now, Carol Carr - who was she? -She was a singer, a lovely singer. -Get out of here, you're a baby! Not a lot, I shouldn't imagine. -Do you know how we arrive at a value of something? I've got to look at dress designs by Margaret Ives. -That's never going to happen, is it? -So I've got to guess. -Do you watch this programme? -You've seen me guess before? I've seen the hit and misses! -you should sort of put £50-£80 on it. Does that surprise you good or surprise you bad? I thought it would be more like 20, 25 or something like that. No. I tell you what, Judy, you're a good sport, I like you. do you want to put a reserve of 40 on it? Now, I'm just going to go back and work on me waist! Lord above! when it resumed after the Second World War. but can he tease out a tune on Helen's musical instrument? -Good morning, Helen, welcome to Flog It!. but a lot of people will call them squeezeboxes, accordions. -The correct term is a concertina. Do you play it? How had you come to own it? -and it's been on a shelf in the wardrobe ever since. -But he played it, did he? As a child... I can remember him playing it when I was a small child. Oh, yes. What, sort of folk music and things like that? Oh, they are used as well in a religious context. concertina, there's different keys, different models of these out there. a paper label behind there. -And that's where the maker's label would have been. a prolific maker of concertinas at the end of the 19th century. -So this dates about 1880. -Can you get a note out of it? -You don't know how to play it? -Sounds like a scary movie, doesn't it, that? -because people still play them. So this should meet with lots of interest at auction. and I would suggest it should make £200-£300 at auction. and I hope the auctioneer can squeeze a few bids out of it! What a wonderful, jam-packed day we've had here at Ickworth House. -Have you all enjoyed yourselves? That's what it's all about, job done. here's a recap of all the things we're taking with us. I'm sure it'll stir up some interest. from the 1940s will make at auction? A unique lot and possibly the one to watch. at the right pitch for today's bidders? collection as the huff and puff of the auction gets under way. Look, all three of us with big grins on our faces. We've all got our train sets! But this one has been in the loft for 45 years. -Did you enjoy using it and playing with it? Let's find out what they're worth, shall we? Let's hope they go to a good collector at their new home. and I start at £100. £100, at £100 I have. at 170 now, looking for 80. At 170 in the room, now. At 170, any advance on £170? Yes, hammer's gone down. That was short and sweet, wasn't it, really? -He's chuffed with that(!) And you must be, as well? I need to split it with my older brother because it was both of ours. -Helen's concertina. We're looking at £200-£300, Adam? Adam's a little bit of a musician on the quiet. Plays the violin and the piano. I think people would wish it would be on the quiet. -Hey, at least it's not the bagpipes and the trumpet. -Hey, this was your dad's, wasn't it? -Yes, and my late father's, yes. OK, so it's been in the loft? -Where else do you keep a concertina? Come on! Do you know, the amount of them I've found in wardrobes is unbelievable. Fingers crossed, let's hope for the top end and a bit more, then. Let's hand things over to Elizabeth on the rostrum. Lot 400 is a 19th-century rosewood encased concertina, or squeeze-box. Good collector's item here, start me at 200. 150 bid, on commission at 150. Now where's 60? At 150 now, it's a beautiful piece. 160. -190 here, round it up, someone. It's on commission at 190, looking for 200. At £190, at 190. It will sell at 190. -Not the high note we were expecting. The low note. It's gone. And you don't mind, do you? Well, let's hope its new owner can squeeze out a tune or two. Well, right now it's time for tea. selling our very own silver tea set that's here, belonging to Betty. Bateman service, we're looking at £600-800, this is quality. -Because it's in the safe. It's been safely kept away in that safe, you haven't over-polished it. with the teapot stand. That's crucial. -The teapot stand is worth 500 quid alone. -This is a lovely set. As a little bonbon dish or something? They often become separated, as you know. That's the important thing, and of course the magic name of Bateman. All the collectors want Bateman. if we get a quality price from this packed saleroom. Let's hand things over to Elizabeth. At 450, 480, 550, 600 bid. Oh, good, it's getting its value straightaway. This is silver that definitely will not go for melt. I'll take 50 elsewhere. It's a lovely set. At £800 only, am I missing anybody? lot of the day. One which Judy thought was only worth about £20! Going under the hammer right now, a classic item. who is with me right now. I've just learnt that Judy did a parachute jump when you were 75? -To raise money for your local Methodist church. towards the church to help raise money for a new kitchen. Did you try and change your mind at the last minute? and you couldn't go back! I know you've got a new stunt you want to do soon, haven't you? ..it's the biggest in the country, so I aim to have a go at that. -You'll be bungee-jumping next, I bet! -No! I draw the line at that! My eyes might fall out! If we get £1,000 now, I think Phil's eyes would go doi-i-ing! I have interest on this little album here. I start at £40. £40 I have. At 42, 45, 48 and 50. Five and 60. Five and 70. Five and 80. 80 with me, at £80 now. Five, new bidder, 90. Five, 100. This is great. This is what an auction is all about. The middle gentleman at 170 - where's 80? At 170 on the album and selling...? Yes, hammer's gone down, job done! Absolutely marvellous, more than I expected! We might have saved you from the zip wire, mightn't we! Didn't I say that was the one to watch? People love to own a unique item. and I think our experts have done really well. but everyone's gone home happy and that's what it's all about. See you next time for many more surprises. Paul Martin presents from Ickworth House, a classical mansion near Bury St Edmunds in Suffolk, where he is joined by experts Adam Partridge and Philip Serrell. Together the team pick out a selection of interesting antiques and collectables to be sold at a local auction. Adam spots an unusual arts and crafts muffin dish twinkling in the queue, and Philip uncovers a unique album of glamorous dress designs from the 1940s. A tricky one to value - will his estimates prove short of the mark at auction? Paul also explores the history of the earl's and marquises of Bristol, who lived at Ickworth for nearly two hundred years.